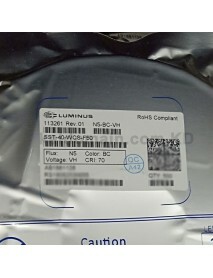 High Power Luminus SST-40 (Voltage: VH) N4 BD Whit.. 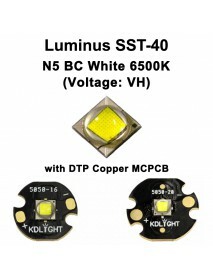 Features:	Cool White LED with a monolithic emitter ideal for directional applications	Specified at 8..
High Power Luminus SST-40 (Voltage: VH) N5 BC Whit..
Luminus SST-40 (De-domed) White 6500K LED Emitter .. 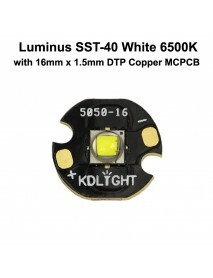 Note: After the dedomed of SST-40 White 6500K LED Emitter, the color temp. will be around 5000K..
Nightwatch IRA Luminus SST-40 / SST-40 (Dedomed) W.. Brand:NightwatchModel:IRAFlashlight Material:HAIII Hard Anodization Aerospace AluminumFlashlight Col..